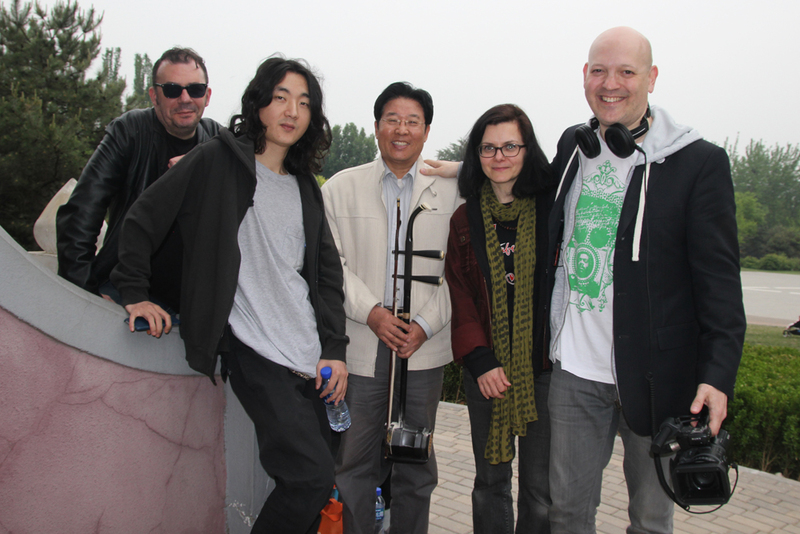 Spring 2016 and we returned to China for some dates, including performing at the opening of the GMIC16, the Global Mobile Internet Conference in – quite incredibly – the Bird’s Nest Olympic Stadium in Beijing (watch the video below) and later in the week at Club Tango, also in the capital. While there we spent an afternoon in the beautiful (and huge!) 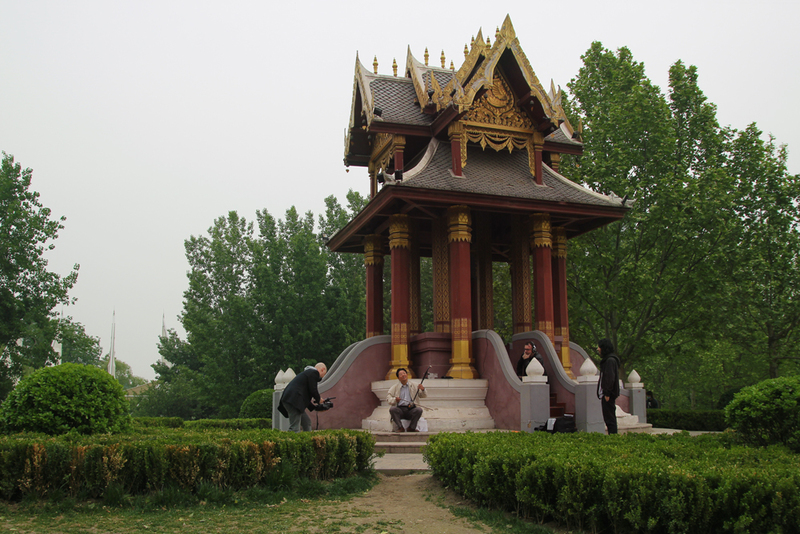 Chaoyang Park with Yuan Li Song, a wonderful musician from the Northern city of Tianjin who now lives in Beijing and plays the Erhu, the two-stringed (and often-called) Chinese violin. 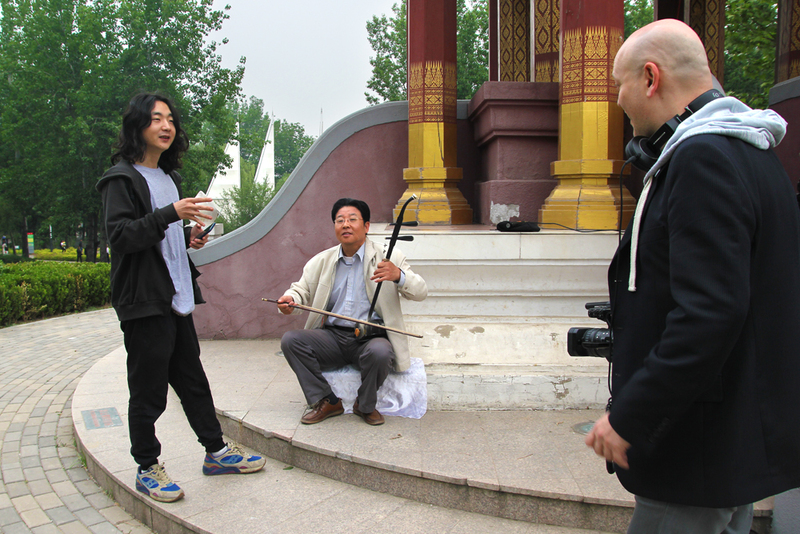 And when you hear it, probably no other instrument is more evocative of China than the Erhu (you’ll have heard it in countless movies), in fact Yuan’s favourite type of music to play is Píng Jù – the famous style of opera from North and Northeastern China, as he explained. He’s completely self taught, starting as a young teenager, explaining he studied by just listening to tapes and the radio – quite incredible really. 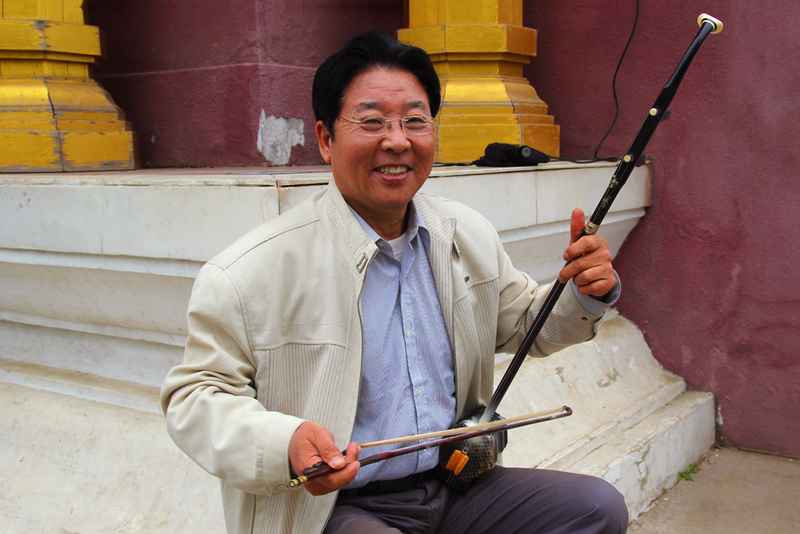 He specialises in a flat hexagonal style Erhu (his was made from snake skin) and plays with a horse-hair bow, much like a violin’s bow. 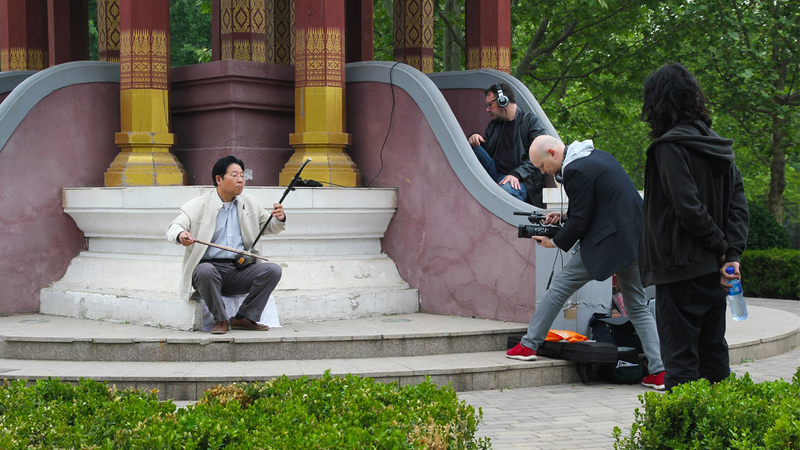 He also plays the Banhu, a similar stringed Chinese fiddle played with a bow. So… now for some more sampling…! Massive thanks to Zhiqi Song for everything!